Scientists at Brandeis University and the University of Pittsburgh have obtained evidence which supports Alan Turing's theories of morphogenesis. While Mr Turing's accomplishments in the field of computer science are well-known, less is known about his influence on biology and chemistry. In his only paper on biology, he put forward a theory of morphogenesis, explaining how identical copies of a single cell differentiate into an organism with separate structures. Researchers have provided experimental evidence for Mr Turing's theory for the first time, publishing their findings in the Proceedings of the National Academy of Sciences. The famous mathematician, who worked at Britain's code-breaking centre at Bletchley Park during the second world war, was the first to offer a theory of morphogenesis through chemistry. He theorised that identical biological cells differentiate, change shape and create patterns through a process called intercellular reaction-diffusion. According to the theory, chemicals react with each other and diffuse across space; they require an inhibitory agent, to suppress the reaction, and an excitatory agent, to activate the reaction. Chemically different cells are produced as a result of the chemical reaction, diffused across an embryo. In order to test the hypothesis, scientists at Brandeis – Seth Fraden, professor of physics, and Irv Epstein, the Henry F Fischbach professor of chemistry – created rings of synthetic, cell-like structures with activating and inhibiting chemical reactions. Mr Turing predicted six different patterns that could arise from this model and the scientists observed all of these, plus a seventh. The researchers found that, in line with Mr Turing's theory, once-identical structures – now chemically different – also began to change in size due to osmosis. It is hoped the research will aid the study of biological development and how similar patterns form in nature. It could also have an impact on materials science – Turing's model could help grow soft robots with certain patterns and shapes. 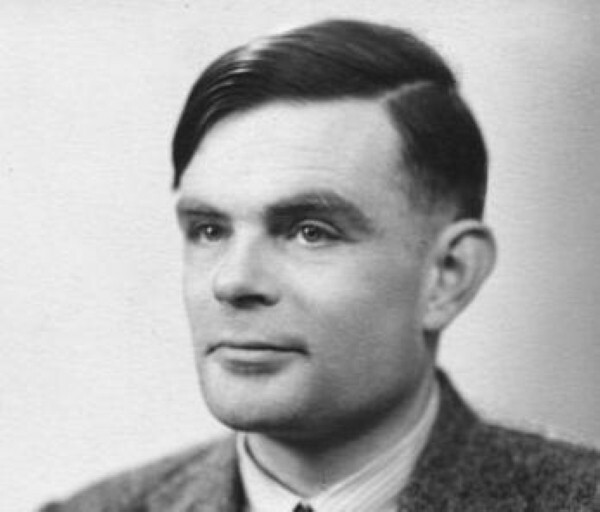 Last year, the Queen issued a posthumous pardon for Mr Turing, who was prosecuted for homosexuality in 1952 and committed suicide two years later.